The off track iPhone XS Ferrari Case is the officially licensed authentic Scuderia Ferrari case. A stylish mobile phone cover, made with genuine leather and contrasted piping. 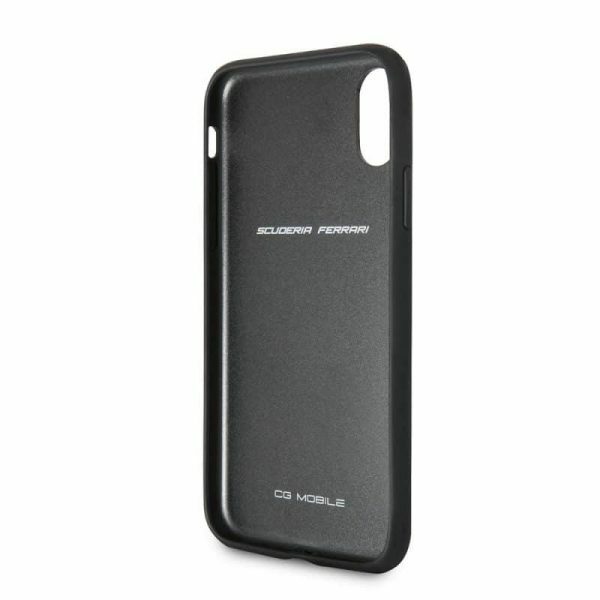 It is created to secure protection to your mobile phone while maintaining a sleek modern vibe. Carbon leather case with rubber frame Compatible with wireless chargers Mix material and contrast colors Easy-to-install case. Created to assure protection to your smartphone while adding a sophisticated style with the use of mix material and contrast colors. Ferrari is known for its modish and tasteful interior finish, products from this collection are directly inspired by the car’s dashboard and leather seating. CG Mobile allows you to take that elegance with you wherever you are. 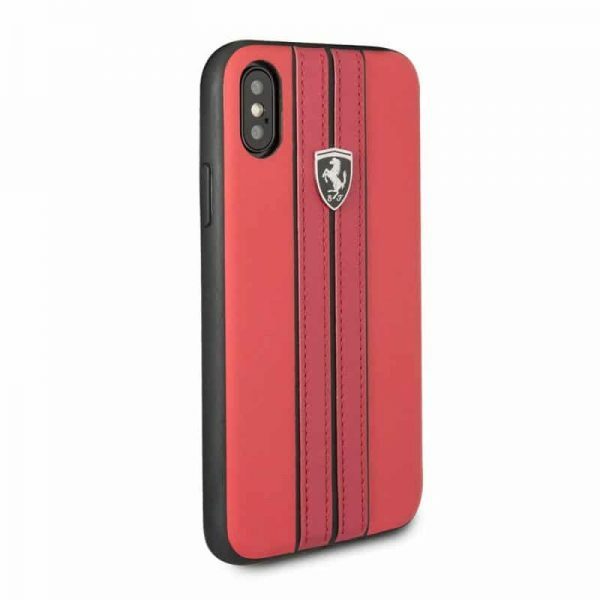 CG Mobile is the ONLY officially licensed dealer for Ferrari high quality cell phone cases and accessories. Fierce and fiery is what Ferrari stands for in the automobile industry. This legendary Italian sports car manufacturer has extensive knowledge in making a bold first impression. The creators of the seductively designed Ferrari are expanding their quality products to the contemporary world. Offering nothing less than the most admirable sports car, and now comes the most highly recommended off track iPhone XS Ferrari Case. Ferrari is brainstorming new and innovative ideas that will bring their superior craftsmanship into other avenues of the world. 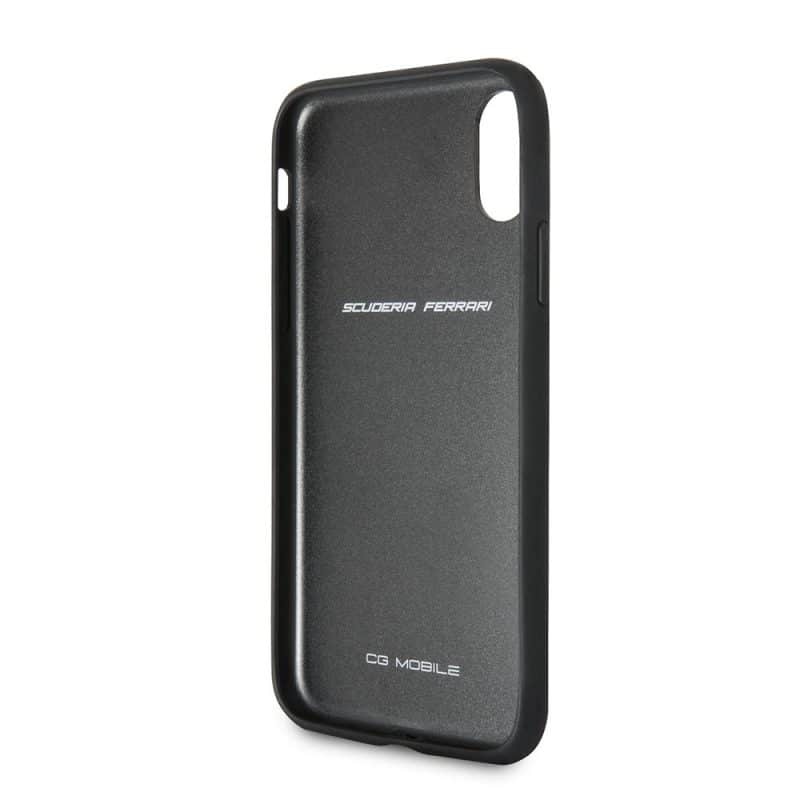 CG Mobile design products that are not only comfortable for your iPhone XS, but for you as well. Being the biggest name for the most luxurious mobile technology accessories, CG Mobile brings the “heat” with hot new iPhone XS Ferrari Case. 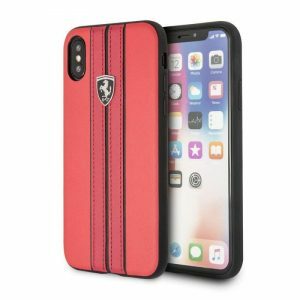 Impress your colleagues with the divine design of Ferrari and CG Mobile Off Track iPhone XS Ferrari Case collaboration. Designed to accompany even the most elite of CEO’s and company presidents while they go about their important business endeavors. 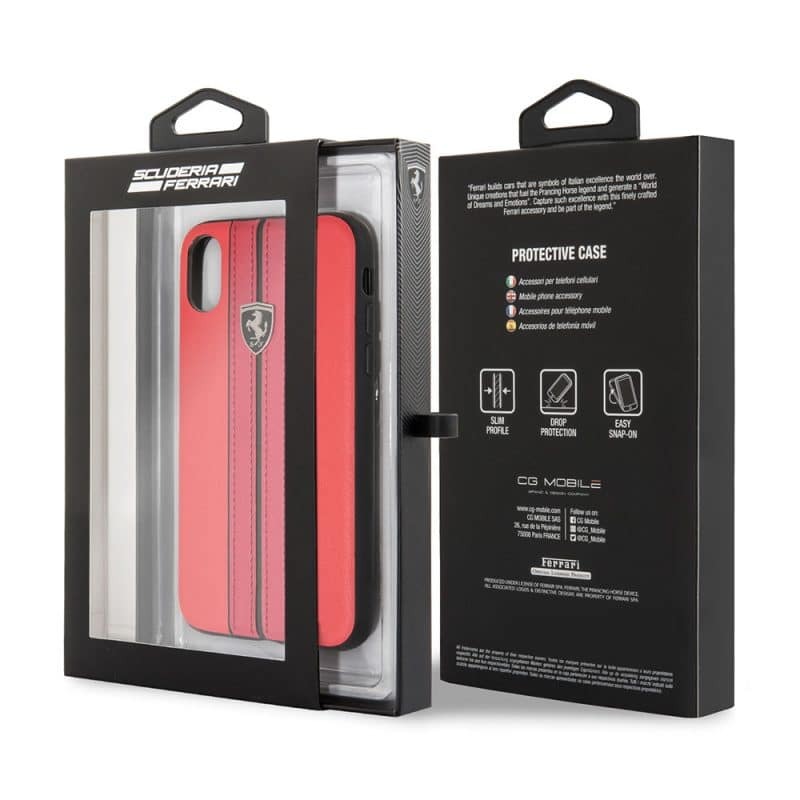 Ferrari is using their business-friendly design and adding their expertise on luxury to create the trendiest protection for all your devices. Superior protection during transportation is a big factor, and Ferrari and CG Mobile both have that attribute down to a science. Genuine Leather Hard Case with contrast color stitching fully compatible with wireless chargers. 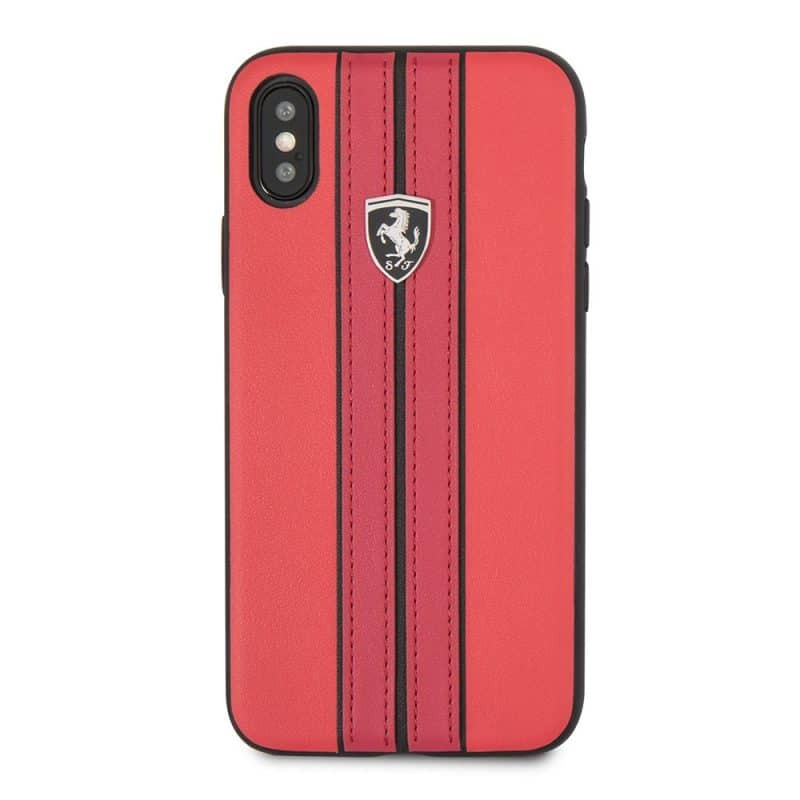 This is an original Ferrari licensed case. Got delivered in 7 days approx. Highly recommend this case and also this online store. the fit n finish is just mind blowing. I have never seen a phone case made so perfectly. Buy it if you love to own the best. This case compliments the iphone X like no other cases I used in the past. (I have tried 5 to be exact) Quality is top notch and case feels very safe. Recommended. The Most Elegant looking case for X. Have been searching something like this for a long time. Excellent quality. makes my iPhone X so beautiful. love the this shade of red, makes it stand out.